- This is the second year that ADE has approved such days for district to use in the event of school closures due to weather or other emergencies - This keeps schools from having to extend the school year at the end of May. One reason is because those days of instruction came after state testing dates in the spring. NOTIFICATION OF SCHOOL CLOSURES During events such as winter weather, APSD officials will monitor road conditions as winter weather necessitates. Ideally, a call to close school for a day would be made the night before but some instances do not allow for such decisions. 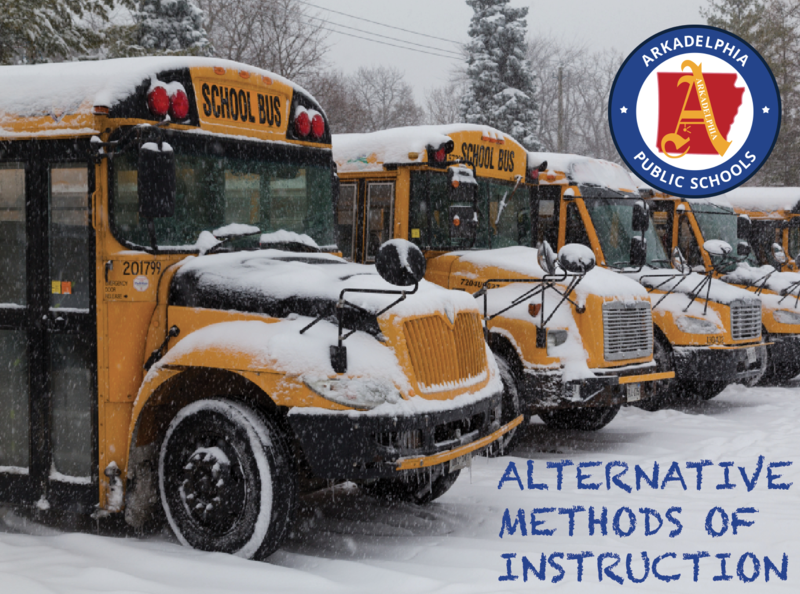 In the event closures are made the evening prior, APSD will send a notification through its automated messaging system using the phone number(s) that are on file at your student's or students' respective campuses by 9:30 p.m. If a call is made later at night or in the morning, the notification will be made around 6:00 - 6:30 am.